Nagpur, Nov 27: India batsman Rohit Sharma expressed his happiness as he marked his return to Test cricket, in the big win over Sri Lanka, after a gap of more than a year. 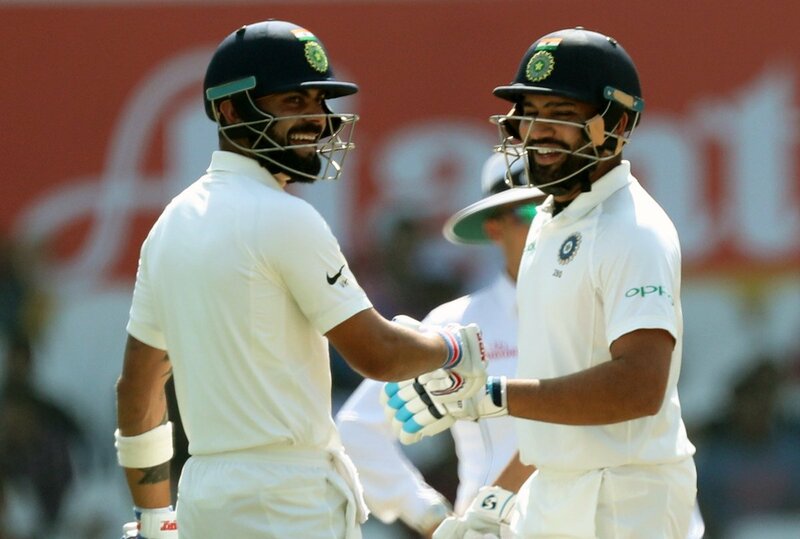 Rohit scored an unbeaten 102 as India declared their first innings for 610/6 to take a first-innings lead of 405 runs at the Vidarbha Cricket Association Stadium. Sri Lanka, who scored 205 in the first essay, were bowled out for 166, losing by an innings and 239 runs. For Rohit, it was also his first century in Test cricket after more than four years. "Personally for me, it was very important as I was playing Test cricket after nearly 500 days. I have been waiting for this opportunity and I am glad that I could put some runs on the board for myself and team. "Really happy, that it was worth waiting for so long. I clearly remember this was the ground where I got injured and I had to wait 3 years to make my Test debut. This ground has now given me something back," Rohit said, as he remembered the ankle injury he suffered prior to a Test match against South Africa in 2010. Asked about the limited opportunity he has got in the five-day format as compared to the considerable success he has enjoyed in the limited overs, Rohit said: "There will always be regrets in your life. Even if you score 10,000 runs, you will feel, "oh, I should have scored 15,000 runs". Or people will tell you, "you should have scored 15,000 runs, man". That's what this world is and that's what we're living in. "But for me, I'm glad that I'm back on my feet, because when I went through (with) that (thigh) injury (in November 2016), at one point I was thinking whether I'll be able to walk or not, because (the) injury was very bad. I'm lucky that I'm on my feet, playing and scoring some runs, so yes, I'm happy. I'm not someone who will think about what has happened in the past. I like to see what is in front of me, and yes, that is how I look at it."